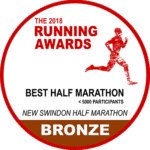 The race will start at 09:30 on Sunday Sept 22nd 2019 from the Swindon County ground (postcode SN1 2ED).The following are a list of car parks located within a short walk from the start and finish areas. If you are driving, please allow yourself plenty of time to get parked and get to the start line in time for the race and any last minute checks. Experts fear that millions could have been affected as accutane 30 mg twice a day a..